“All eyes are on the London property market and its traditional busy autumn burst,” says Andy Shepherd, Dexters Managing Director. 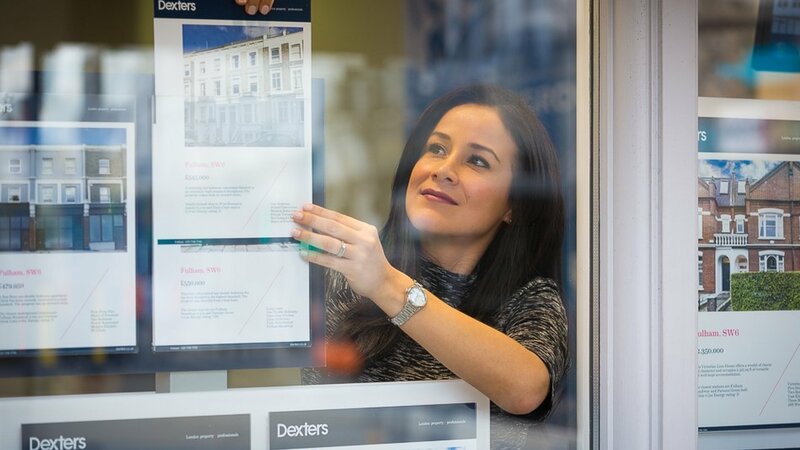 With over 60 offices across the capital and 28 in Central London, our local experts are highly experienced in their markets and are able to provide clients with the best advice on all aspects on buying and selling within their localities. Our local specialists live in the areas in which they work, so have a deep understanding of the qualities and nuances that make each London area so unique and desirable. The City of London is one of many areas proving particularly popular in recent weeks. Buyers and investors are enthusiastic about locations within easy reach of the City, including Islington, Hackney, Shoreditch and Clerkenwell. “It used to be a wilderness here, with tumbleweed at the weekend,” says Guy Thornton, Dexters Sales Director who oversees this area. “Now it's lively all week​,​ has a real sense of energy and is a great place to live. People are choosing to relocate here because of the fantastic selection of properties, popular places to eat and socialise, all within minutes’ walk from work.” Dexters offices in Islington, Clerkenwell, City, Shoreditch, Hackney, Canary Wharf, Tower Bridge and London Bridge are currently dealing with high levels of demand thanks to this popularity. The London lettings market was incredibly busy over the summer, particularly with corporate and international tenants. “We are seeing this momentum continue into the autumn, as this time of year is historically our busiest,” explains Alex Harrington, Group Lettings Managing Director. As you will have seen reported, there has been pressure on rental prices during the year as a result of a high amount of rental properties coming to the market. That said, at Dexters our lettings transaction numbers have significantly increased year-on- year and we attribute this to working hard on our landlords’ behalves and having such a large pool of prospective tenants. Our reach across London means we’ve got the capital covered. Our Corporate Lettings and International Relocation team had an extraordinary summer and high levels of demand continue. The team, based in Mayfair, deals with 200 enquiries every week from companies and individuals from around the world looking to relocate here, making Dexters a market leader in high quality corporate London lettings‎. This complimentary service has attracted companies who now deal with Dexters exclusively when relocating employees to London, meaning we can put your property in front of a fantastic pool of top quality corporate tenants. We are finding that Central London and the West End are particularly popular with corporate tenants at the moment, especially in the £5,000 to £10,000 per month level." We expect demand to remain strong from local, American and European landlord investors in particular over the autumn months, as there are reliable returns from London’s established lettings market. We anticipate an additional one million households in the UK to be renting by 2021, with the highest demand in London itself.